It feels like Tyler ‘Ninja’ Blevins is constantly taking to Twitter to thank fans for his skyrocketing list of career accomplishments. But the 27-year-old streamer, who has soared to unprecedented heights on Twitch thanks to his Fortnite prowess, says that his latest milestone — becoming the first creator on Twitch to surpass 10 million followers — is “the one I am most proud of.” Blevins made the announcement last Thursday, noting that he’s been streaming for “a very, very long time” and thanking fans for their enduring support. At the same time, Blevins congratulated fellow Fortnite streamer Ali ‘Myth’ Kabbani for being Twitch’s second most-followed creator with 4 million followers — though that’s less than half of Blevins’ current tally. What makes Blevins’ Twitch following all the more impressive is the speed at which he has amassed it. IGN notes that Blevins counted just 550,000 subscribers last September, when publisher Epic Games launched Fortnite Battle Royale — meaning that he has grown by roughly 9.5 million subscribers in less than a year. Blevins catapulted into the international zeitgeist last March when he was joined by rapper Drake during one of his streams. 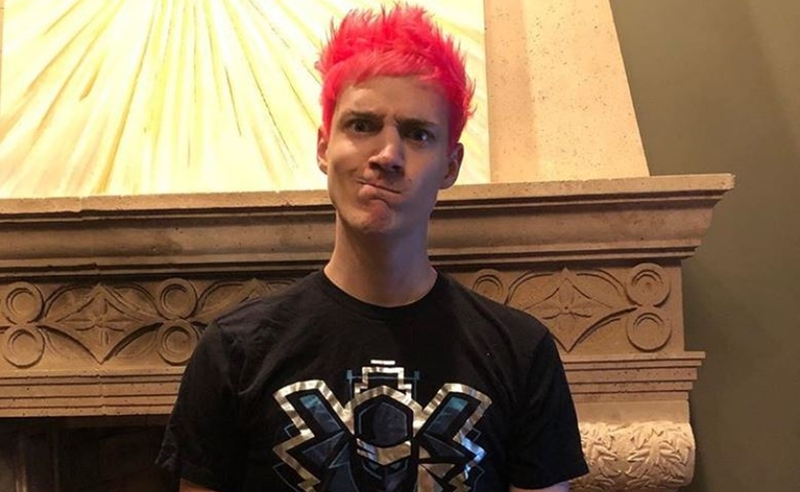 And in addition to Twitch, the newly-pink-haired star counts a sizable presence on YouTube, where he celebrated 10 million subscribers last May, and now counts a whopping 16.2 million subscribers. Blevins, who has an endorsement deal with Red Bull, most recently appeared at famed music festival Lollapalooza to stream live gameplay. He also regularly harnesses his enormous platform for charity, helping to raise $2.7 million for St. Jude Children’s Research Hospital at last month’s GuardianCon.